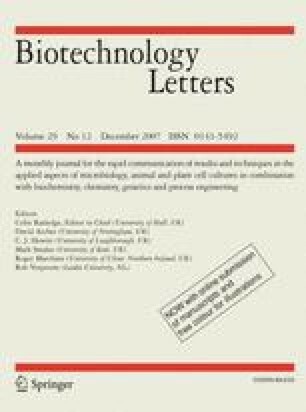 Molecular features of the 4139-bp plasmid pER13 found in the dairy fermentation bacterium Streptococcus thermophilus ST113 include five open reading frames (ORFs). ORF1, ORF2 and ORF3 encode proteins for transcriptional repression (CopG), replication (RepB) and mobilization (Mob) that share homology with corresponding proteins of the pMV158 plasmid family, while ORF4 and ORF5 encode putative proteins with unspecified functions. Sequence homologies shared with plasmids found in group B and group D streptococci imply the possibility for genetic exchange with the food-grade S. thermophilus. The structural features of pER13 may be useful in designing strategies for gene transfer in lactic fermentation bacteria.